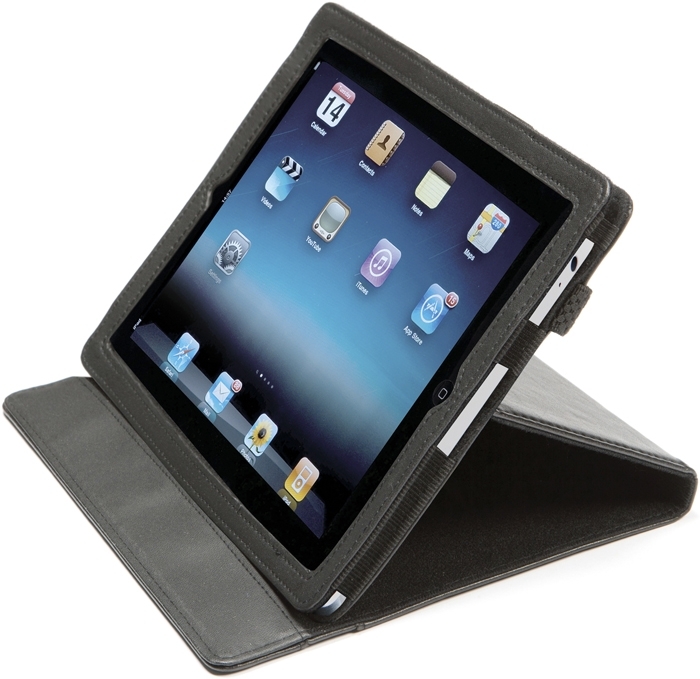 Description Padded Tablet PC case made from Reach compliant PU Imitation leather with elasticated closure. Can accommodate most Tablets with dimensions of 24x18.6x0.88cm. Case folds into desktop stand.. Dimensions: 24.5 x 19.5 x 1.5cm. Print Area: 9 x 9cm Printed one colour to your artwork. Print set-up charges apply. Unit price for 75 € 9.95 Unit price for 150 € 8.90 Prices exc. vat.